MOBIZ: Microsoft planning RIM takeover? As Research in Motion (RIM) shares continue to decline, the industry is abuzz with speculation that Microsoft may be planning to buy up the company. RIM shares have dropped in value substantially owing to the global financial crisis, trading at below $64 from a high of around $150. According to financial analyst Canaccord Adams, as quoted in Reuters, Microsoft is believed to have a standing offer to buy all RIM shares at $50 each, but may be waiting until the share price drops below that to make its move. Adams believes Microsoft will gladly pay around $28 billion for the company. 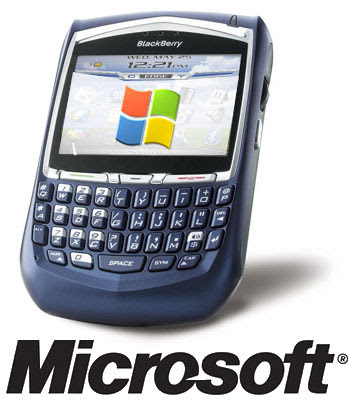 This is not the first time Microsoft has been rumoured to be plotting a RIM takeover – in August last year, it was rumoured to be plotting to buy out RIM in response to Google entering the mobile OS market. But back then, market analysts found the rumours hard to swallow, with InformationWeek reporting that the high asking price would mean Microsoft would spend 22% of its market cap on a company that makes just 10% of Microsoft's revenues. But with RIMs share price dropping, this latest round of rumours would appear to be more credible and Microsoft is certainly seating on alot of cash to be in a position to take over RIM.